VPN (virtual private network ) is a secure tunnel over wan (wide area network) which is used to communicate two or more devices each other. it provides confidentiality using encryption and integrity using hashing . VPN can be categorized into site to site VPN which is based on peer to peer architecture and remote access VPN which is based on server client architecture. Here, we are going to focus on IPsec site to site VPN. IPsec is a network protocol suite which consists of multiple protocols to secure the data over public network. for example AES or 3DES for encryption and MD5 or SHA for integrity . IPsec uses symmetric key encryption algorithm for encrypting the data. symmetric key means same key which is used for both encryption and decryption which is high efficient and less work load compare to asymmetric key encryption algorithm . The problem with symmetric key algorithm is both peers should need to have the same key and the key should not be sent over public network because hacker can easily eavesdropping the key packet and decrypting the data and AES or 3DES do not create or exchange keys for themselves. to overcome the this problem symmetric key should be set manually on both peers but it is not good in the view of security so they have implemented a protocol name Diffie Hellman, it will generate shared secret key without actually sharing the exact shared secret key between two peers. it has to go through 2 phases for the successful data packet transmission. phase 1 is for secure internet key management and create secure channel for phase 2 negotiation . without phase 1, phase 2 negotiation will not happen anyway. ikev is a hybrid protocol which made from ISkamp , Oakley and Skeme. it uses UDP port number 50. phase 1 has two modes such as main mode and aggressive mode. main mode is the default mode. main differences between main mode and aggressive mode are anonymity and no of messages for phase 1 completion . main mode keeps anonymity while other mode does not. main mode uses 6 messages to complete phase 1 but aggressive mode uses only 3 messages. main mode and aggressive mode are applicable for only IKEV1 . 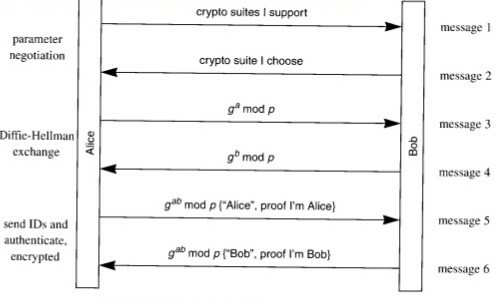 As shown in the above diagram , first 2 messages are for security associations negotiation such hashing, authentication, Diffie-Hellman Group value, life time and encryption. other two messages for generating shared secret key and final two messages for authenticating peers. final two messages encrypted because now both peers have shared secret key so they can use it for AES or 3DES as symmetric key. As shown in the above diagram, first 2 messages are for security association negotiation, generating shared secret . and final 2 messages are for authentication. once authentication is successful, phase 1 tunnel will be up. Configuring Site To Site IPsec VPN On Cisco ASA 5505, 5510, 5520, 5515X, 5525X, 5540X, 5545X, 5550X. VPN termination peers and pcs have full connectivity. ICMP is inspected on both Cisco ASA Firewalls. Routers R3 and R4 are doing port address translation. NAT exemption is configured on both routers for VPN traffic. ACL should be created with two statements. first statement will disable PAT process for the ICMP traffic which is from source 192.168.1.0 to 192.168.2.0 (Lan To Lan vpn traffic.). Second statement will allow pat process for internet traffic. for R4 source and destination will change. firstly, we do have to enable ikev1 on outside and define the 5 parameters. Transform-set should be configured for phase 2 negotiation. sha-hmac is adding unique key with data to the sha hashing algorithm so it provides better security. ACL should be configured to match the VPN L2L traffic. you should configure it according to your requirement. This ACL only allows the remote lan network hosts to enter outside interface of the asav-1. Crypto map should be defined and it should include ACL to match VPN traffic, peer IP address, transform-set name which is configured earlier. Name is case sensitive. setting pfs is optional but it is commanded in the security perspective. if you enable pfs then new shared secret key will be created for encryption algorithm. Below commands are different from ios to Asa. Pre-shared key should defined under tunnel-group. for ASAV-2 few things should be change like ACL, peer ip address.